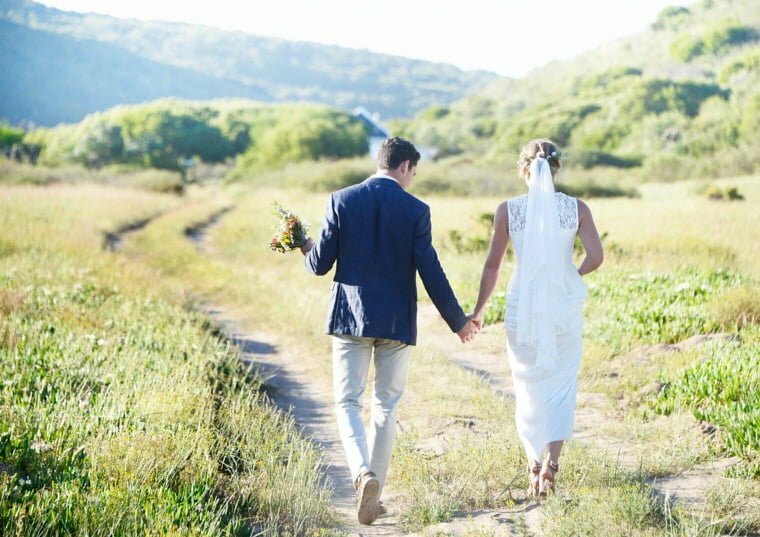 This amazing couple decided to tie the knot at our favourite venue in Cape Town (disclaimer the Head Chef was married there too) at Pat Busch Mountain Reserve in Robertson. 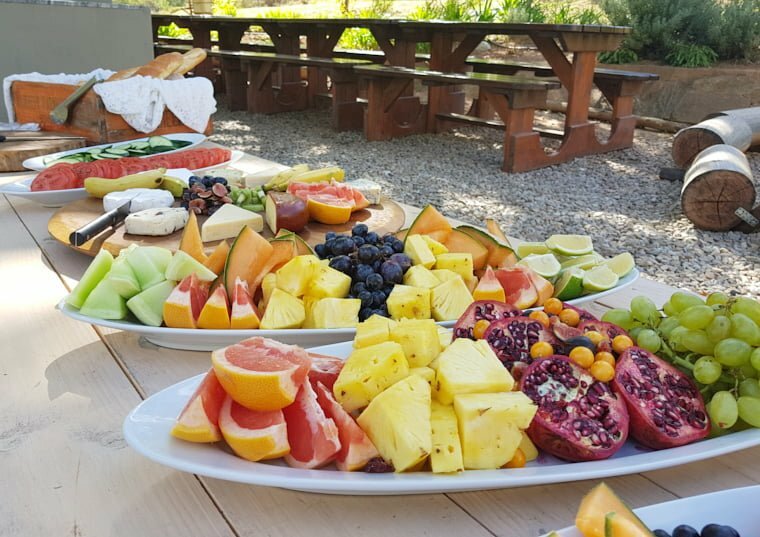 Many guests were travelling from Europe to attend the celebration, so the brief was to fuse South African and European elements into the menu, with included a harvest table, a buffet mains and a dessert. The mains was a feast of different meats and sides, and included a rosemary potjie, infused with a local Robertson merlot, fennel and cumin roasted pork belly, hot smoked local fish with apricot marmalade and peri peri flame grilled chicken skewers. This was all accompanied by a host of flavourful and spicy condiments, including chakalaka and atcher (for those South African flavours of course) as well as our ‘danger sauce’, an incredibly hot homemade chilli sauce made from bird’s eye chillies grown in The Flying Pan garden. Dessert consisted of impossibly cute mini lemon cheesecakes topped with seasonal berries, peppermint and caramel cups with toasted coconut, koeksisters and a mixed fruit and nut platter.